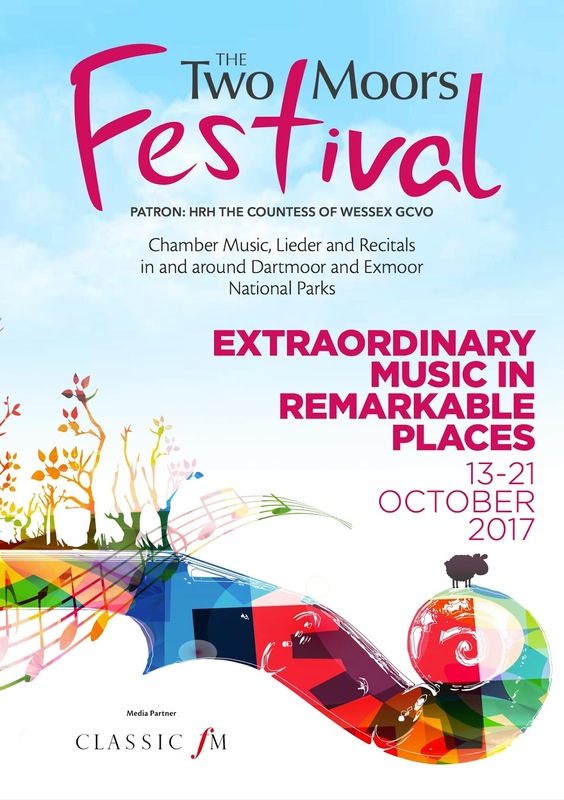 The Two Moors Festival runs from 13 to 21 October 2017 and presents 28 concerts in 13 venues across Dartmoor and Exmoor. Performers include the City of Birmingham Symphony with pianist Pavel Kalesnikov, the Heath Quartet, pianist Barry Douglas and the Endellion Quartet, guitarist Andrew Lebedev with accordionist Iosif Purits, and Tasmin Little. 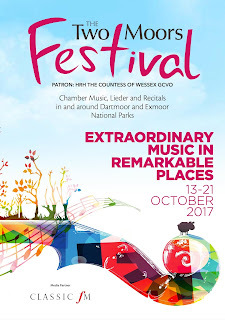 The final concert includes the North Devon Sinfonia, winners of BBC Four's All Together Now - The Great Orchestra Challenge, performing Haydn's Creation with choral singers from the Devon Wildlife Trust and soloists Gemma Summerfield, John Porter and Tim Nelson. Dame Felicity Lott is giving a master-class, there is a Schubert song-cycle day with Nick Pritchard performing Die Schone Mullerin, Henry Neill performing Winterreise and Nicholas Mogg performing Schwanengesang. Full details from The Two Moors Festival website.